ca 515 - 505 B.C. 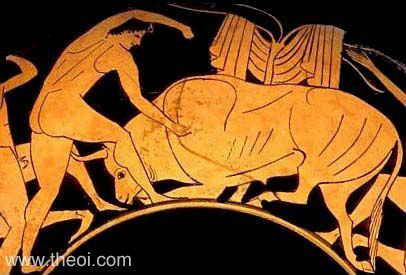 Side B: Heracles captures the Cretan bull as one of his twelve labours. The hero is naked and unarmed. His robe hangs from a tree behind the bull.